Sam, Dean & Castiel. . HD Wallpaper and background images in the Supernatural club tagged: supernatural season 6 cw poster sam winchester dean winchester castiel wallpaper. This Supernatural wallpaper contains well dressed person, suit, pants suit, and pantsuit. There might also be outerwear, overclothes, and business suit. 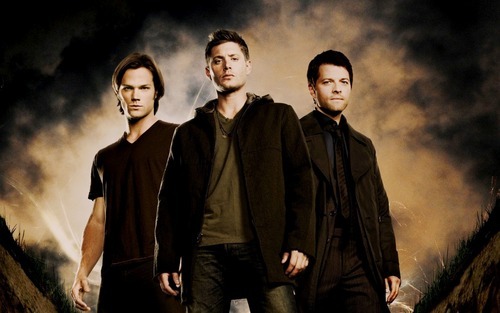 i like this picture but is Sam in the dark that's okay but dean in putory i cant live with THAT!!!!!!!!!!!!!!!!!! WHY OH WHY!!!!!!!!!!!!!!!!!!!!!!!!!!!!!! They all are looking very smart!